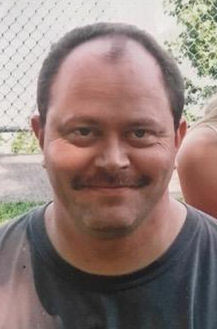 Brad Lee McIntyre, 48, of Dubuque, Iowa passed away on October 20th, 2018 at home with family by his side. A celebration of Brad’s life will be at a later date. Leonard Funeral Home & Crematory, 2595 Rockdale Road is assisting the family. Brad was born on October 26, 1969 in Oelwein, Iowa and is the son of Leland and Barbara (Wheeler) McIntyre. He married Karla Miller on December 26, 2003 in Dubuque, being together for 21 years total. Brad was a detassler for DeKalb for 10 years; was an apprentice for Toons Blacksmith Shop; worked at Don’s Pharmacy; Eagles Grocery store and lastly at Hy-Vee on South Locust in Dubuque. Brad was a strong man who held great respect. He was a good man but a better husband and father, he took care of his family no matter what. Brad is survived by his wife Karla; children Maxwell and Sabrina. He was also survived by his parents Barbie and Lee along with his brother Stevie. Brothers-in-law include James, Tim (Anna) and Wayne Miller. Sisters-in-law include Julie Miller and Wendy (Jared) Biedenbach. He was preceded in death by his grandparents Elbert and Zeona McIntyre and Fay and Betty Wheeler; his father and mother-in-law Karl and Joyce Miller. The family wishes to thank special friends Jeff Ahlers, Dr. Andy Frost and Dr. Dave Heppner.